IF THERE'S a nice piece of Ikea furniture you've been eyeing off but you're worried it's going to break the budget, this new idea might be for you. Some of the prices on your favourite items will be slashed by as much as 50 per cent. But there's a catch - you'll have to buy them second-hand. The Swedish furniture chain is today launching a trial of a new 'take-back service' where customers can make sure their unwanted pieces get recycled - and be rewarded for being more sustainable too. Customers who hand over items that are good enough to be onsold will be given a voucher to spend in store. That means anyone can get perfectly good furniture - and even some of Ikea's more classic pieces not available anymore - in near perfect condition for a fraction of the original price. 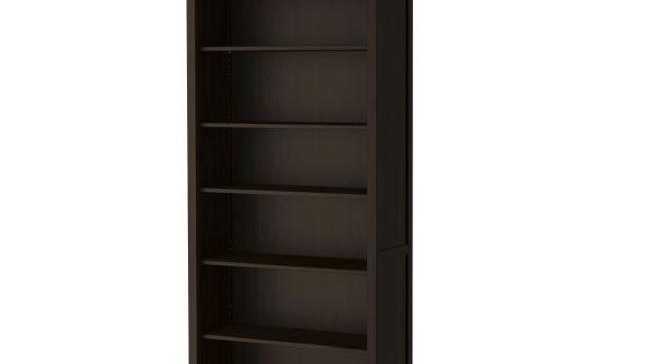 The popular Hemnes bookcase was sold for $80 when it normally retails for $199. The other catch is the trial is only being run at Ikea's Tempe store in Sydney. If successful, the aim is to roll the service out to other locations across the country as part of the company's sustainability plan. Australians have thrown away 13.5 million pieces of furniture that could instead be recycled, reused or repaired and given a second-life. New Ikea research has revealed Australians are being more wasteful than they intend to, with more than half of the population having thrown out furniture in the last 12 months, even though a quarter would have kept it if they knew how to repair or reuse it. Sustainability manager Kate Ringvall said they wanted to make the process easy for people. She said the idea came about when one of their colleagues saw the furniture that was going to waste on kerbside clean-up days. "He saw perfectly good Ikea furniture on the verge and his overwhelming reaction was that could have another life with someone else," she said. "The charities aren't taking stuff because they're very picky so people are faced with an inability to take their perfectly good furniture somewhere else. "There is always the idea or thinking if they put their furniture on the verge someone will come along who needs it more. The reality is that only solves part of the problem." Ms Ringvall said there simply weren't enough options for people to contribute to the "circular economy". A circular economy looks at how materials are used, where they are sourced, and how to refurbish or resell items to ensure nothing useful goes to waste. The service is similar to Ikea's existing 'as is' section where returned or display items are sold for a cheaper price. "One of the really exciting things is we will be to see some of the older pieces we haven't seen for a long time," Ms Ringvall said. The trial will run for six months. 1. Customers need to fill out an online form and email photos of their old Ikea furniture which will then be assessed. 2. The customer will then be advised if their furniture qualifies for the service, and if successful will then be offered a price for their furniture. 4. The furniture will be put up for sale in Ikea Tempe at the same value of the voucher given to the customer.